A commercial real estate transactions is a complex, multi-step process that can comprise months in totality. The benefits to investors of understanding the commercial real estate transaction process are primarily three-fold: 1) understanding the level of uncertainty at each phase of the transaction process and how execution risk diminishes over time 2) learning to better discern sponsors’ expertise and 3) gaining an appreciation for the amount of work involved for sponsorsIn commercial real estate, the sponsor is an individual or company in charge of finding, acquiring and managing the real estate property on behalf of the partnership. The sponsor is usually expected to invest anywhere from 5-20% of the total required equity capital. They are then responsible for raising the remaining funds and acquiring and managing the investment property’s day-to-day... More to bring deals to investors. Part I will cover the steps from developing an investment thesis to acquisition award (or “winning” the deal). Part II will focus on the steps from contract negotiation through due diligence. Part III will span the timeline from removal of due diligence contingencies (also called “going hard” on the deal) to closing. U.S. commercial real estate is a multi-trillion dollar market. That presents sponsors with a vast pool of potential investment opportunities that range from buying a high-rise office tower in New York City to a grocery-anchored shopping center in Des Moines. Sponsors need a strategy to differentiate themselves. The first step is developing an investment thesis. Through experience and research, sponsors will determine the types of investments they will pursue, which includes asset type, asset class, risk profile and geography. The outcome of this analysis often boils down to the intersection of what types of investments sponsors view as most attractive and what they do best. The starting point for identifying potential investment opportunities begins at 30,000 feet – the macro level view. Some sponsors start by analyzing a geographic market, while for others the first step is identifying a particular property type. For example, some sponsors specialize in a particular property types, such as Class A apartments. They take a geographic approach to identify the best spots to acquire those properties. That market analysis may start with a region, state or city and drill down to opportunities that exist in a particular, submarket, neighborhood or even key street. Other sponsors may already have keen local knowledge, and instead, focus on identifying what property type presents the best opportunity in that specific marketplace at that given time. Both scenarios involve extensive market knowledge, research and analytics. Sponsors may look at hundreds of potential investment opportunities, including both on-market and off-market deals, before choosing to move forward with one particular acquisition. Why is the seller truly selling this property? Do they know something we don’t? How much can we really push rents? How might occupancy change over the holding period? In essence, does demand seem to oustrip supply for the forseeable future? What capital costs will be needed to address deferred maintenance and improve the asset? Is this location becoming increasingly relevant or irrelevant? Could that change? How will we exit at our targeted value yet still at an attractive price (commonly referred to as “leaving some meat on the bone”) for the next buyer? Sponsor deal teams will then utilize their expertise to construct a pro forma analysis with defensible assumptions that solves to return levels that they deem attractive for the proposed acquisition. Price is derived as simply a function of the assumptions and return threshold parameters. Most sponsors will complete multiple underwritings to determine upside and downside scenarios, which they use to determine whether the return on investment will warrant the risk involved in the undertaking. Finally, underwriting is a fluid process where the sponsor is continuing to gather research and discover new information, which adjusts the analysis , underwritten returns and, as a result, pricing. Commence preliminary due diligence: This translates into the sponsor leveraging every resource available to it to learn as much as possible about the asset as fast as possible, typically without incurring significant hard due diligence costs. In some instances (particularly if the sponsor wishes to aggressively pursue the deal) you will see sponsors invest in third party due diligence during this period. The due diligence process will be covered in Part II. Communicate its interest in the deal to the seller’s representative (on-market or off-market) or owner (off-market only): During this stage, buyers begin to posture themselves as the ideal buyer. Sellers value certainty of execution most when assessing buyers. This means that, while price is important, it’s often not as important as gaining confidence that the buyer that is ultimately selected is committed to closing the transaction at or near the contracted price. Buyers play into sellers’ desire for certainty of execution by demonstrating the seriousness of their intent, knowing that the more certainty they can convey, the better the price that they can ultimately achieve. Tour the property: This is an important step as bidders won’t be taken seriously by brokers or sellers if they haven’t toured the property. Meet with submarket leasing brokers: Spending time with submarket leasing brokers is critical for buyers as this is the best way to receive an informed third party opinion of the ability of the asset to attract tenants and at what rental rates. Submarket leasing brokers have typically spent years, or even decades, leasing surrounding assets. As a result, they often know the property as well as anyone. Leasing brokers serve as an outstanding resource to buyers who are attempting to learn a tremendous amount about an asset in a compressed timeframe. Tour the competitive set: Once buyers are armed with intelligence gained from trusted leasing brokers, they will set out to tour the properties that compete with the subject asset. 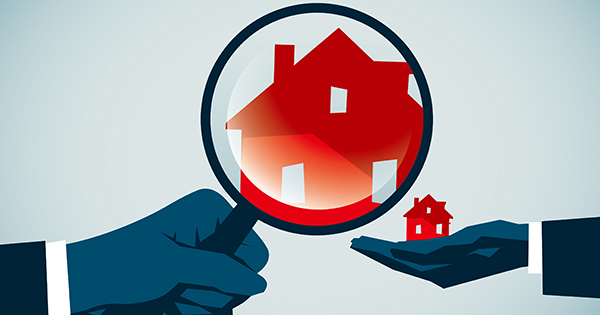 Walking those properties with the perspective of a potential tenant in mind is a key step in the process to gain comfort that the asset the buyer is targeting is, in fact, as competitive as their desk underwriting led them to believe. Submitting a first round bid: Once all of the pieces are in place, it is time for buyers to submit their initial bid, which is typically structured as a letter of intent. Once buyers submit first round bids, the chase is on. Buyers want to win the deal but at the lowest possible price and best terms. Sellers want to play buyers off of one another to identify the ideal candidate; namely the one most capable of closing at the highest price. These situations are a bit like a chess game with moves and countermoves. While buyers want to win, they also want to maintain pricing power. Sellers want to pull buyers up in price but also know the likelihood of having the most qualified buyers drop out increases for each dollar extracted and possibly end up with a buyer that retrades them after conducting due diligence. First round bids: At this stage, sponsors work closely with the seller’s representatives in a highly negotiated process in hopes of coming out on top as the winning bidder. At this point buyers need two things: 1) a bid that is competitive enough to keep them in the game and moving on to the next round and 2) a good relationship with the seller’s representatives in order to get the inside scoop on what it takes to stay in the hunt. During the first round, a buyer is simply hoping to make it the next round, which is referred to as “Best and Final”. Best and Final: During this stage, the field is narrowed from perhaps as many as 20 – 30 initial bidders down to 3 – 5 qualified candidates. For buyers, the deal is starting to feel tangible and, as a result, the intensity increases to differentiate themselves from the small pool of remaining bidders. For sellers, this is the stage where they expect all bidders to push higher on price while whispering to their two favorites of their interest in them if they can meet the desired price. The trick is that Best and Final bidders usually gain a sense of their competition. The strongest buyers know that they are overpaying if they meet the seller’s ask so they are hesitant to budge on price. Weaker players know they only win on price, so they will likely stretch to the desired number. Now sellers are left with bidders they are more confident in at lower prices and bidders they are less confident in at higher prices. Sorting this out is typically handled during the buyer interview. Buyer interview: The field is now narrowed to two bidders and, as discussed above, perhaps with a difference in price and execution capability. The seller’s representatives conduct the interview and hammer the two remaining buyers on everything from how much due diligence they have already conducted to the status of their capital stack (both debt and equity) to their feelings on re-trading the seller on price following due diligence. Essentially, the seller’s representatives are searching for any signs that the buyer is less than committed to closing at the current price. For buyers, the interview involves doing everything possible to convince the seller’s representatives that the asset is their strategic next acquisition or in essence, “a done deal” if it is awarded to them. They will seek to counter the broker or intermediaries hard hitting questions with answers that convey a certainty of close. This process concludes with seller selecting a buyer, typically based upon recommendation of the seller’s representatives, which is the point of deal award. The preliminary phase of identifying, underwriting and placing an asset under contract can be a long and arduous process. And there is no guarantee that sponsors will end up the winning bidder at the end of it. It’s also important to keep in mind that this process is inherently inefficient and complex. To learn more about how the inefficiencies of the commercial real estate market can work to the benefit of investors, please read our previous article, “A Non-Random Walk Down Main Street: How Investors Benefit From Inefficiencies in the Commercial Real Estate Market”. Due to the complexity involved in lining up commercial real estate offerings, it is essential to work with highly qualified, experienced sponsors who are capable of winning deals at superior terms to their less proven competitors. The next steps for buyers who are successful in landing that one deal out of hundreds of potential candidates is to introduce its legal counsel, execute a purchase and sale agreement and conduct due diligence, all of which we will cover in Part II of our series. CrowdStreet makes a point to list offerings only from proven sponsors, and the company provides detail on a sponsor’s track record in offering documents posted on the CrowdStreet Marketplace.